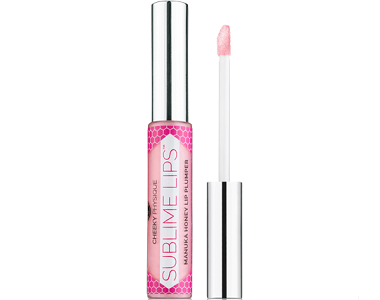 In our review of Sublime Lips, we will determine if the product is capable of producing the results that consumers need. One of the claims of the manufacturer about the product is that it softens and conditions lips, as well as restores hydration and smooths and fills fine lines. The manufacturer also claims that the product leaves lips looking fuller and nourishes the lips while giving you a lush and hydrated pout. Cheeky Physique wants to create products that consumers find easy to use and do not have to spend a lot of time to look good. The ingredients that the manufacturer selects help to restore the hydration and fill fine lines. These ingredients help to leave the lips looking fuller, as well as nourish the lips to ensure that you have a hydrated pout. The ingredients that the manufacturer failed to include are Willow Herb Flower, Peppermint Oil and Pink Purslane. The manufacturer has not separated the active from inactive ingredients but needs to use at least 10% active ingredients and at least 5 clinically proven patented ingredients to make the product effective. How Do You Use Sublime Lips? The manufacturer recommended that you apply the product whenever you want moisture, shine or extra fullness on your lips. The manufacturer stated that you will feel a tingly, cooling sensation as circulation is increased to the lips. The manufacturer has suggested that you apply the product twice daily. You can purchase the product from the manufacturer’s website for $25. 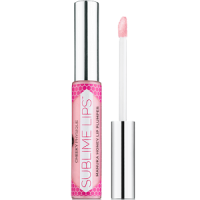 The lip plumper is a 0.34-ounce product that comes with free shipping for the United States market. The manufacturer has not offered a discount on the product. If you wish to return the product to the manufacturer, you can do so within 60 days of purchase. Consumers who send the product back are liable for the courier fee, which the manufacturer will not refund. The official website is filled with information about the product and is easy to use. Consumers cannot obtain the best results from the product as it is missing the key ingredients needed to make it effective. The manufacturer has not used crucial ingredients such as Willow Herb Flower and Peppermint Oil. You can buy the product from the official website, but consumers are not entitled to a discount. Consumers who take advantage of the money-back guarantee to send the product back due to unsatisfaction have to pay the shipping fee. The manufacturer will not refund that expense. While gathering feedback from consumers, we discovered numerous customers who were dissatisfied with the product. The general concern was about not seeing any difference in their lips after using the product. We feel that this product is a risky purchase, and consumers who buy it are taking a risk as it may not work. Consumers can find more effective products.